That will buy your car or truck for cash today. We pay up to $9999 cash for all makes and models. Give us a call for a quote & let us know when you would like us to come to you to remove your car. Reside or work in the City of Playford? Perhaps, the wonderful suburb of Elizabeth? Ezy Car Wreckers services the outer northern suburb of Adelaide, South Australia with Cash for Car Removal services. Whether you are looking to sell your old Toyota, or a great running used Proton, or perhaps a scrap Nissan, we will buy it. 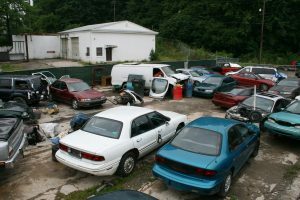 We are the local car removal company in Elizabeth that pays cash on the spot for cars of every make and condition. The beautiful northern suburb of Adelaide, South Australia, Salisbury is a service area for Ezy Car Removals. We provide courtesy car and Truck Removals that pay cash. 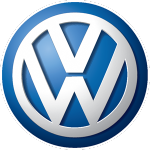 We are car & truck buyers that make it easy to get your car or truck sold. Just give us a call or request a quote through our online form and we will make you an offer. Get top cash with one call. Ready to sell your car or truck in Salisbury? Ezy Car Wreckers services the northern suburb of Adelaide, South Australia with top cash car and truck buying. We are your local car and truck buyer that puts cash into your hand for the sale of your car to us by coming to you to buy it. With us, you have no inconveniences to get your car sold and get a top cash sale. When you have a car or Truck For Sale in the southern suburb of Adelaide, South Australia, Morphett Vale, Ezy Car Wreckers offers an easy way to get it sold. We will buy your car or truck over the phone or online. Get a top cash offer by calling us to request a quote. If you like our quote for your car of any make and condition, accept and we’ll be on our way to buy & remove the car. If you live or work in the Adelaide suburb of Aldinga, and have a car for sale, you can get a quick and easy sale that leaves you counting top cash with Ezy Car Wreckers. We service Aldinga car owners with quality car buying & removal services. We buy all makes and conditions of cars, so give us a call for a quote up to $9999 or fill out our online form. Car owners in the beautiful Adelaide suburb of Modbury with a car for sale can look forward to a great car selling experience when they call Ezy Car Wreckers. We are a car buyer that pays Cash For Cars, coming to your location in the area to buy & remove the car. As car buyers that will buy your car in “As Is” condition and provide a courtesy removal, you don’t have any expenses involved to get your car sold. Get a quote by giving Ezy Car Wreckers a call at the number below or fill out our online form at the top right of this page. We are your car buyer that services your area to provide you with a great car selling experience that leaves you with top cash for the sale of your car to us. Get your car or truck sold in Elizabeth, Salisbury, Wingfield, Morphett Vale, Aldinga, or Modbury by giving us a call at the number below.